When selecting the best paint option for your car or truck, there are many considerations. There are some Nashville auto paint shops that will paint your vehicle quickly and yes, cheap. These automotive reapair and paint shops are appealing for their economy and speed but not quality. Many times, they use inferior paint and fail to perform the necessary steps to ensure the vehicle is painted evenly, there is no loss of gloss, has no dirt, has no rough bumps, and no areas are missed. A custom car paint job not only lets you tailor your vehicle to your personal style, but also repairs imperfections and surface damage through the finishing and painting process so that your vehicle will sport a brand-new show worthy appearance. Plan B has been performing custom paint work for decades and is committed to offering a final product of the highest detail and appearance. Plan B Autobody’s technicians will ensure that your custom paint is precisely the design you envision, whether it is a simple flat color in the perfect shade or a complex special effects job from marbling to chrome effects to the classic look of flames. From beginning to end, your vehicle will be treated with detailed preparation and professional painting for a great show car finish. We are located in Goodlettsville with many of our customer coming from Hendersonville, Madison, and Whitehouse TN. Plan B works with Matrix paint products to provide a wide variety of coatings including undercoats, basecoats, clear coats, hardeners, special effect metallics, and more, and uses Matrix’ precise color matching system so that paint jobs by Plan B are complete and flawless every time. Through Matrix’ color matching tools, you can be sure that your vehicle will be furnished with the exact colors and shades that you are looking for. When applied professionally by Plan B’s expert technicians, the paint job will not only look amazing, but will also withstand the test of time for a long-lived finish. Matrix uses a fast and accurate color retrieval software that can be used from a computer, or through an app on both android and iPhone. 250,000 precise formulas are featured in this system, with variants and alternatives for vehicles that are foreign, domestic, and fleet. The software also enables you to review pricing and profit margins, and compare competitor formulas. Since this AccuShade Intermix System is compatible with every coating product offered through Matrix, you can be sure that each aspect of the job from primer to paint will be comprised of perfectly matched colors and shades. In addition, the annually printed color books are reference tools that are effective and easy to utilize. Quality preparation is the key to a durable, professional paint job. With years of experience, Plan B’s body technicians have mastered the meticulous process of removing grease and wax, and then thoroughly sanding old layers of paint or primer from the car body. Before the new custom paint is even applied, this preparation work and any other necessary body work eliminate dents, scratches, waves, and pinholes so that the car will have a sleek, brand new original factory appearance when the job is finished. The preparation work of stripping the car is only the first step in Plan B’s custom painting process. The auto body technicians then mask and tape where needed, and spray on multiple layers of primer, paint, and clear coat. Once that part of the process is complete, the vehicle goes through a round of color sanding and buffing to remove any unevenness and make the layers of the paint job exhibit a smooth sheen. Have a classic or collectible car or truck that needs restoration work and a great paint job? 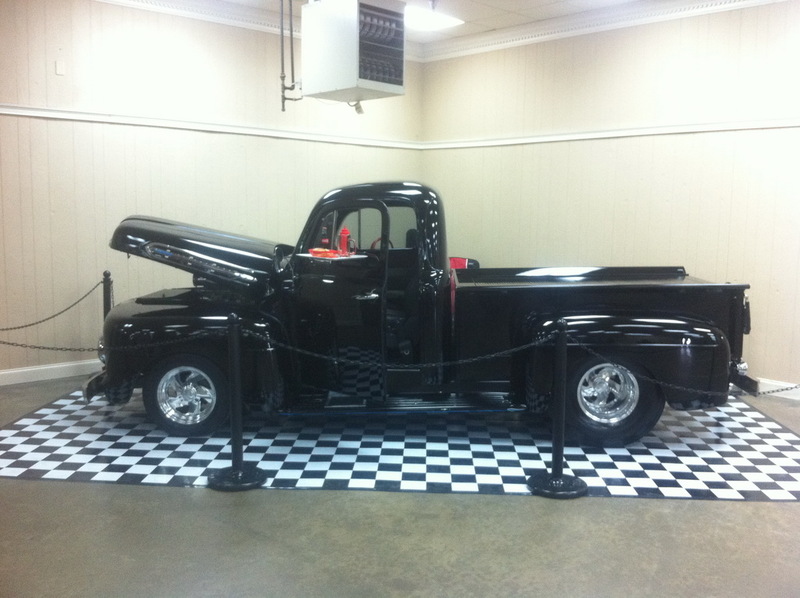 Plan B’s custom paint team has painted numerous classic and collectible vehicles. We love restoring classic cars and understand the detail that is needed to exact color match and paint the car to original specifications. Plan B Autobody’s focus on the surface preparation before painting, as well as meticulous attention to detail when applying various coats, results in a long lasting and excellent looking show car finish.